It is a movie that will be starred by gorgeous actresses from the two biggest TV networks of the country. It is another collaboration of actors and actresses from the two rival networks, ABS-CBN and GMA, and is hoping that it will catch the attention of the viewers.” Somebody to Love” will be composed by many main characters that will portray the different approach of diverse people in finding their love. The film is produced by the Regal Entertainment Inc. 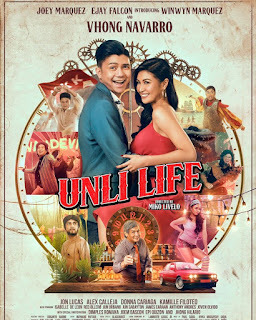 Joining Iza Calzado, Carla Abellana, Matteo Guidicelli, Jayson Abalos, Isabelle Daza, Maricar Reyes, Ella Cruz, Kiray Celis, and Albie Casiño are Alex Castro, Nathalie Hart, Beauty Gonzalez, Manuel Chua and Cai Cortez. It is a story of different people with different lives that have one thing in common and that is to find somebody to love. First of the characters is Marga Castro (Iza Calzado), a crazy TV host who has an attitude problem and who always has a gimmick to boost his career and to stay in the limelight. Second is Sabrina Mandrilejos (Carla Abellana), a normal and simple office girl who has a best friend, Nicco (Jason Abalos) that is in love with her but another guy from her office, Tristan Vilarama(Matteo Guidicelli), is flirting with her. Tristan is a good looking guy who is sleeping with Valeria Schulmann (Isabelle Daza) whom he loves but Valeria rejected his love so that’s why he turned to Sabrina. Meanwhile Nicco is finding it hard to tell his best friend Sabrina that he’s in love with her. Then there’s Sophie who cannot bare a child and is in the midst of a sinking marriage but she is still trying to save it. Next is Amelie (Ella Cruz), who is young and in love and doubts the fidelity of her gym instructor boyfriend, Jason (Albie Casiño) .Lastly is the story of Chloe (Kiray Celis) who is attracted to a gay man and hoping that there will be a sudden change of heart and the gay guy will be attracted to her. Will they find what they are looking for? In a world which is full of friends and strangers; where everyone has a story; where everyone has a secret; where everyone wants somebody; where everyone needs somebody and where everyone just needs somebody to love. It is written and directed by Jose Javier Reyes and it will hit in theaters nationwide on August 20, 2014.